Do you know there are more than sixty Celtic dog breeds and three Celtic cat breeds? The Clydesdale is a breed of draught horse derived from the farm horses of Clydesdale, Scotland and named after that region. Although originally one of the smaller breeds of draught horses, it is now a tall breed. The breed was originally used for agriculture and haulage and is still used for draught purposes today.The breed was developed from Flemish stallions imported to Scotland and crossed with local mares. The folks at the Redd Barney Ranch have long been involved in the Celtic Celebration and we are honored to welcome them back again. 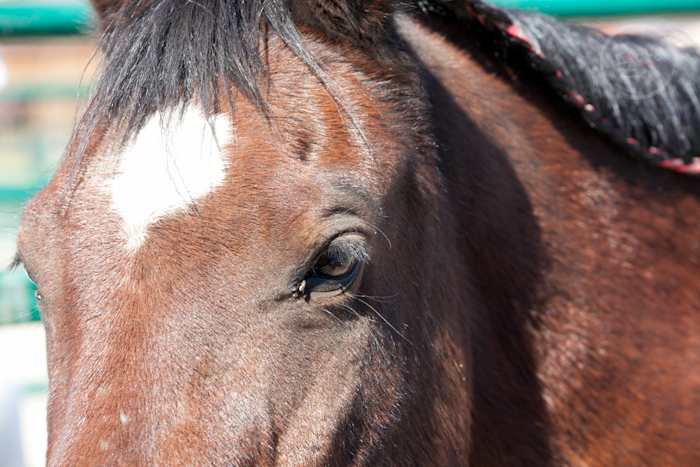 Enjoy this majestic breed of horse in our large livestock pen! 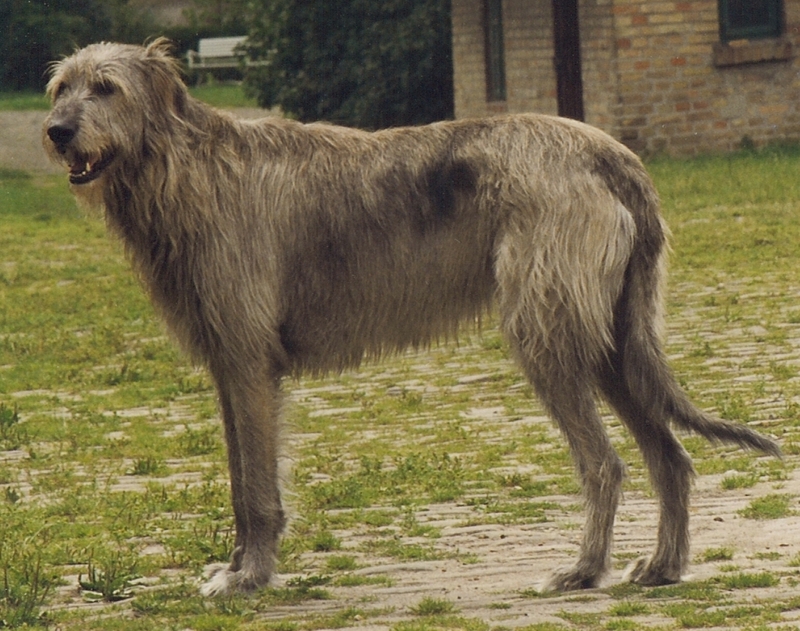 The Irish Wolfhound (Irish: Cú Faoil, Irish pronunciation: [ˈkuː ˈfˠiːlʲ]) is a breed of domestic dog (Canis lupus familiaris), specifically a very large sighthound from Ireland. The name originates from its purpose—wolf hunting with dogs—rather than from its appearance. Originally developed from war hounds to one used for hunting and guarding, Irish Wolfhounds can be an imposing sight due to their formidable size. The breed is very old; there are suggestions it may have been brought to Ireland as early as 7000 BC. These dogs are mentioned, as cú (variously translated as hound, Irish hound, war dog, wolf dog, etc.) in Irish laws and in Irish literature which dates from the 5th century or, in the case of the Sagas, from the old Irish period – AD 600-900. The word “Cu” often became an added respected prefix on the names of warriors as well as kings denoting that they were worthy of the respect and loyalty of a Cu. The Skye Terrier is a breed of dog that is a long, low, hardy terrier and “one of the most endangered native dog breeds in the United Kingdom” according to The Kennel Club. 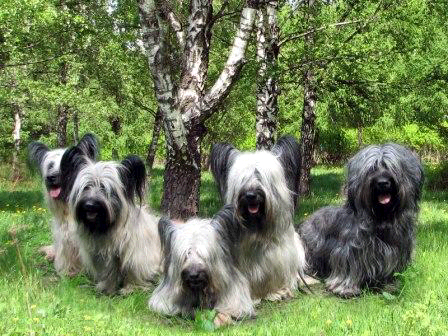 Scotland has long been a stronghold of small plucky terriers, and the Skye Terrier is among the oldest of them. They developed along the west coastal area, where they hunted fox and otter from among the rocky cairns. The purest of these dogs were found on the Isle of Skye, and the dogs were then named Skye Terriers. Skye Terriers were first described in the sixteenth century, when it was already noteworthy for its long coat. Some confusion exists in tracing its history because, for a certain time, several different breeds had the same name “Skye Terrier”. The loyal dog, present under the petticoat of Mary, Queen of Scots at her execution, has been ascribed as a Skye Terrier. In 1840, Queen Victoria made the breed fancy, keeping both drop-(floppy) and prick-(upwards) eared dogs. This highly increased its popularity in many of the high societies and among commoners, which are very high class. Soon enough, the Skye Terrier came to America because of its extreme popularity throughout its country and some others. 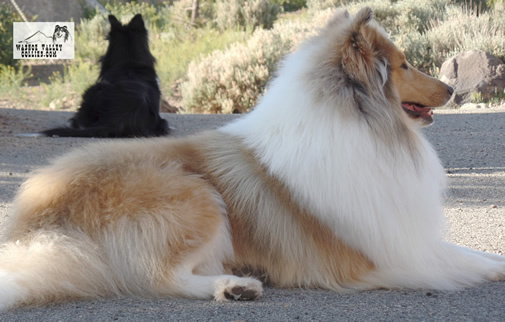 The AKC recognized the breed in 1887, and it quickly rose to the show scene position. Even though this was a strong start and the breed’s great appearance, its popularity has dropped. Now it is among one of the least known terriers. Many people are unaware of this breed’s old popularity because it is not famous now. These dogs are beautiful and we are honored to be able to showcase them. Owners: If you are interested in displaying your Celtic animal in our Celtic Critter Village, please email us for more information. Please note that only Celtic breed animals that are part of our Animal Village and service animals will be allowed at Celtic Celebration. Please do not bring your pet unless you have a Pet Pass. All animals must be on leashes or in pens. Thank you.